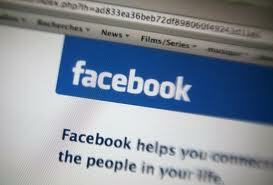 Many people frequently check and update their Facebook pages at their jobs; it’s no secret. However, according to two Boston College professors in a recent paper they have written, language in the 1986 Computer Fraud and Abuse Act may actually outlaw Facebook usage at work. Most corporations frown on their employees checking their Facebook pages on company time, if they haven’t already outright banned it, but language in the 1986 legislation may make updating your status on the job explicitly illegal. The Act’s language says it is illegal to knowingly exceed the authorized use of a computer, so there is definitely room for interpretation. More and more companies are blocking Facebook from employees’ computers, but some companies also seek prospective employees’ Facebook log-in information in order to better scope out the candidate. No company has prosecuted an employee in criminal court for using Facebook on the job, but the fact that they could under this obscure and outdated law is worrying. Time and again, outdated laws like this one have clashed with modern digital age sensibilities, never more so than in the case of social media rights and usage.